Prime south Palm Desert location. 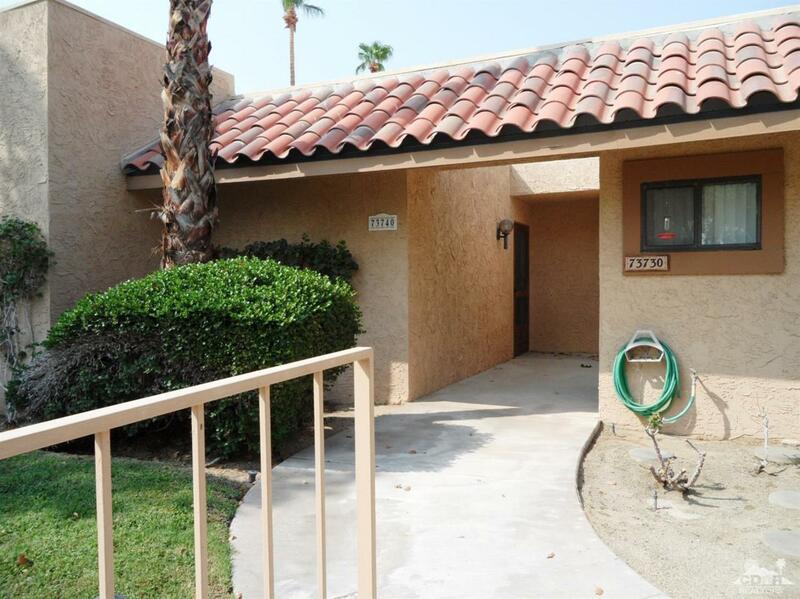 Well cared for 1 bed/2 bath unit at Corsican Villas where monthly HOA is only $395. 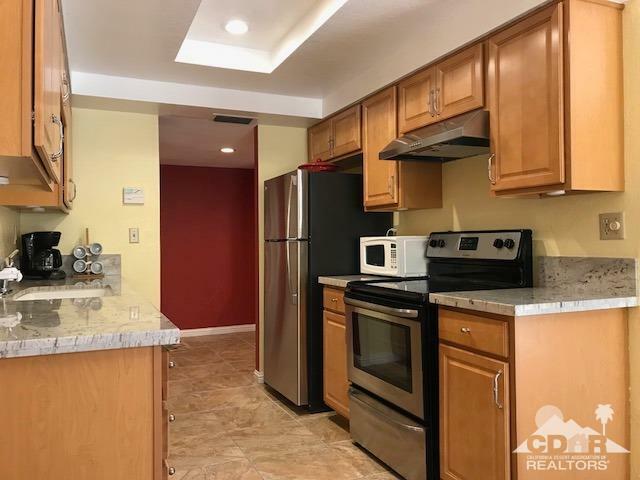 Unit has been UPDATED with new porcelain tile flooring, granite counters, new cabinets and new stainless appliances. Large, spacious living room can easily accommodate an office area. 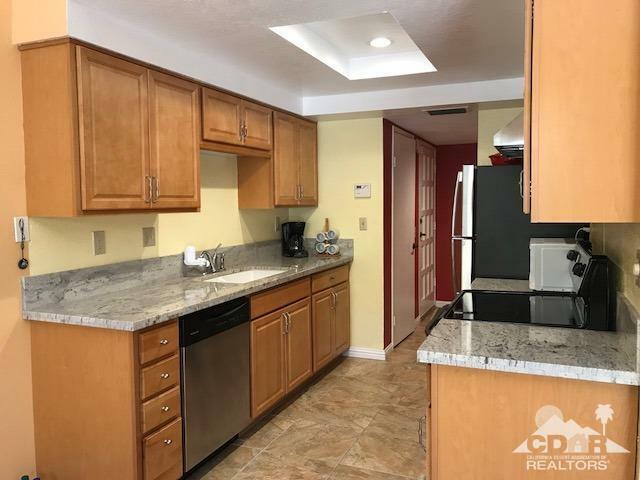 Private patio is tiled and enclosed with lush landscaping (it's perfect for your BBQ, pets and relaxing with a good book.) Washer and dryer are located in the single car garage. FURNISHINGS, are available (excluding the paintings.) Community features 4 pools, 2 spas, clubhouse and lighted tennis courts. Grounds are park-like. 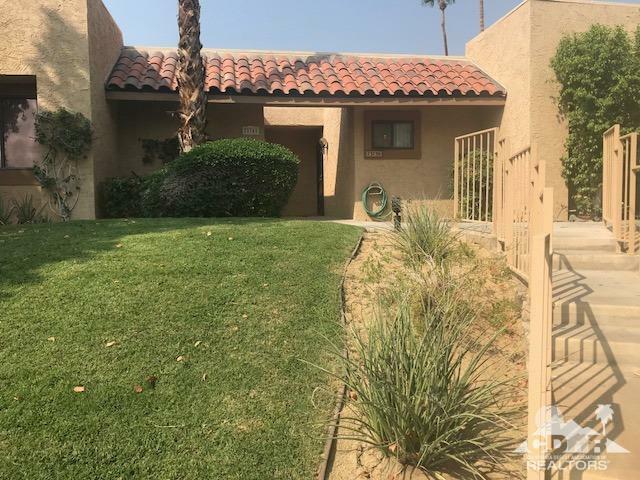 Great Location: Entry gate is on Portola just a mile south of El Paseo, the desert's most prestigious street for fabulous restaurants, retail, art galleries, cafes and shopping. Corsican Villas is close to The Living Desert (which is 1/2 Zoo and 1/2 Botanical gardens). Great hiking trails are close by. Listing provided courtesy of Rosemary Woodward of Bella Rosa Realty.